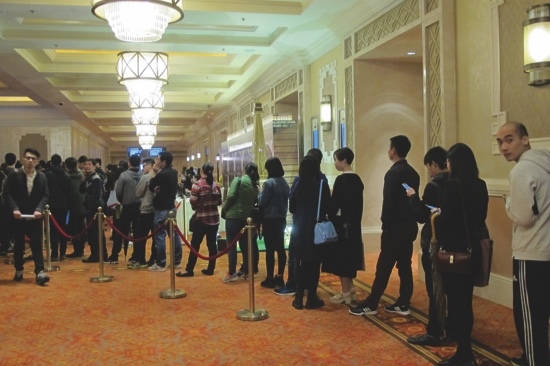 A large group of employment applicants queued up at The Parisian’s job fair at the Dunhuang Ballroom at Sands Cotai Central yesterday, offering vacancies in over 150 positions. Approximately 40 departments were represented – from finance to front office, and from housekeeping to food and beverage – spanning both gaming and non-gaming areas of operations. The fair, open to Macau residents, has been decorated in a French style, providing a unique experience for applicants. It features a complete recruitment process for most positions, from onsite interviews to contract signings. 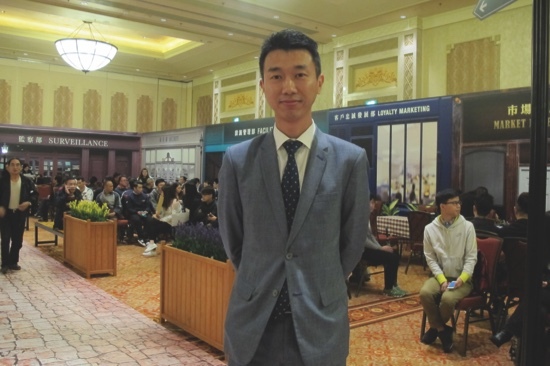 Paulo Cheong, HR executive director of Venetian Macau Ltd, told the Times that the number of applicants exceeded their expectations. As of 2 p.m., Cheong claimed that they had received around 1,000 applications, in addition to 200 preregistered aspirants. He also said that they have already offered employment contracts to 100 of those applicants. When asked if they plan on any further hiring of non-local employees, the Sands executive claimed that locals are currently the target of the current and future job fairs. “It depends because we still have a lot of job fairs in the upcoming few months […] so it really depends on our resources. Maybe after one or two months, we will have a clearer idea of what the will plan be, but we definitely want to hire as many locals as we can in the first few months,” said Paulo Cheong. Moreover, he also mentioned the recently launched career development program of Sands, “My Way”, for its team members. The new program allows current gaming team members to work in non-gaming departments and positions at The Parisian Macao for a set period of time, to provide opportunities for team members. Meanwhile, applicants such as Ken are looking forward to working in the newly established resort. “I think it will be refreshing to work in a place that has just opened, as opposed to going to some place that has been running for years and years,” says Ken. “I think it would be really great to maybe make a difference. A lot of companies, they kind of get into ruts, they have habits, and I think that having an opportunity to work in a new place especially in places that are as big as this, you know there are more opportunities to make your mark,” he added. Another applicant waiting in line, who didn’t want to be identified, appreciated Sands’ efforts in first targeting locals rather than recruiting workers from abroad. “It’s a great opportunity, especially for local residents because usually they hire abroad instead of actually recruiting people from here who have lots of talents and skills,” commented the candidate.